There were a lot of celebrity weddings during the Valentine weekend. 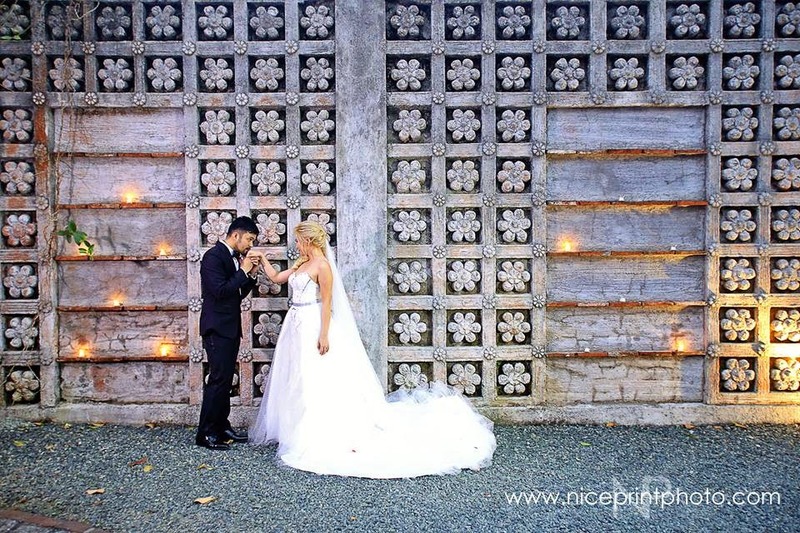 But the most rebellious, most refreshing of all I would have to say, is Yeng Constantino's wedding to her now hubby Yan. OMG that heart-shaped ceremony was just AMAZEBALLS. Gideon Hermosa shares: "Something simple yet meaningful for our #YengYanWedding today. 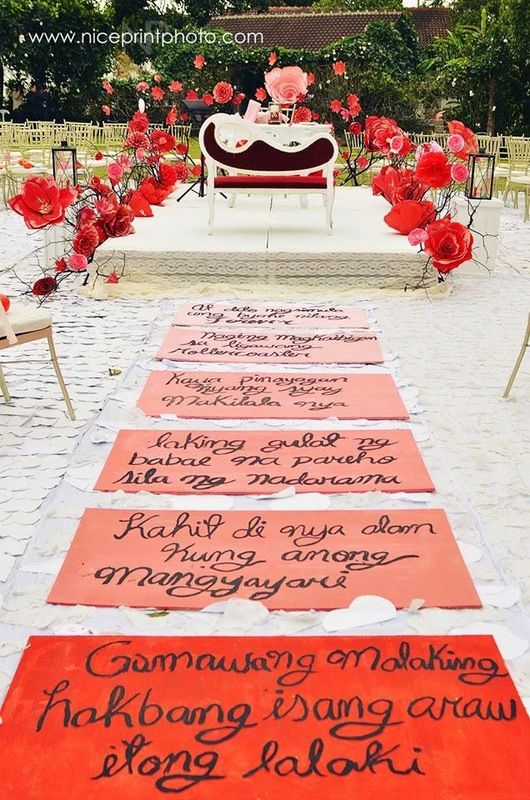 Composed of 607,000 mini hearts that represents the number of days (607) since they became officially lovers. 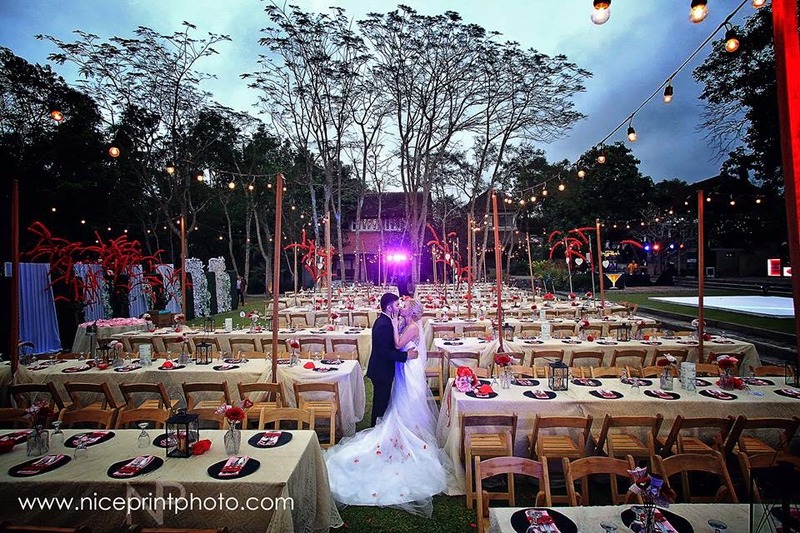 The ombre wooden planks along the aisle tells their love story." And didn't Yeng channel Elsa (Frozen) for her rebellious bridal look? What a cool bride! Congrats Yeng and Yan! You guys rock! 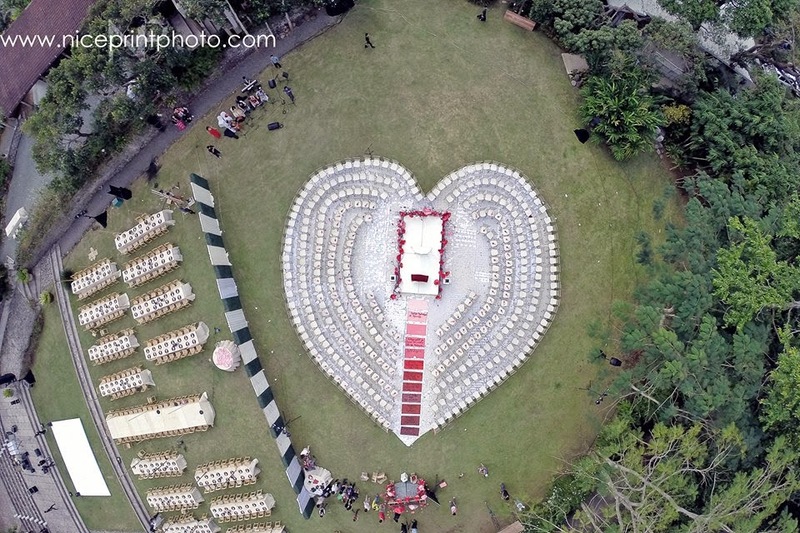 Getting an aerial shot of the ceremony and reception sites is ingenious!